Rev. Lu was formerly a college professor. In 1988, he received God’s clear call to full-time ministry after his son passed away. Thus he enrolled in Trinity Evangelical Divinity School in Chicago where he eventually obtained his Master in Divinity and Doctor of Philosophy. Rev. Lu majored in Old Testament, but he also studied Exegesis, Theology, and Semitic Languages. He has a burden for expounding the Bible and theology, church edification, leadership training, as well as theological education. Rev. Lu knows the importance of publishing in ministry. 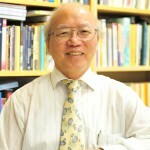 Besides publishing academic works such as his commentary on Isaiah, he regularly contributes to a column on Faith and Current Affairs in Magazine of the Evangelical Formosan Church. Rev. Lu was previously Senior Pastor in Atlanta Chinese Christian Church where he paid attention to the nurturance of believers, prayer, spiritual growth, worship, education and missions. Chief among his many hobbies is singing songs in Hebrew. He is also very fond of gardening, but acts less than what he plans and says. Rev. Lu’s wife Betty received her Doctor of Christian Education from Talbot School of Theology in southern California. She majors in Christian Education and Family Ministry. Their daughter, son-in-law and grandchild live in Boston, MA. 2014 Commentary on Isaiah Vol. I, 1-12 (Hong Kong: Tien Dao Publishing Co.). 2013 Earthly Talk, Heavenly Walk: On Current Issues in Transcendent Perspective (El Monte, Calif.: Evangelical Formosan Church Communication Center, 2013). 2009 “Logos Across Two Testaments: Interpreting Old Testament Messianic Prophecy,” in Ekron Chen, Jeffrey Lu & Chloe Sun, eds., Logos for Life: Essays Commemorating Logos Evangelical Seminary’s 20th Anniversary (Hong Kong: Tien Dao, 2009), pp. 99-135. 1998 “The Holy Spirit in the Book of Samuel,” in The Holy Spirit Then and Now, Festschrift Hudson Taylor, IV (Taipei: China Evangelical Seminary Press, 1999), pp. 71-99. 1997 6 entries in New International Dictionary of Old Testament Theology and Exegesis (Grand Rapids, Michigan: Zondervan, 1997). Besides being preoccupied with teaching and administrative work in CWTS, Rev. Ip is also regularly invited by many churches to preach in Sunday services and retreats. During such times, he shares on the Christian faith, spiritual growth and life applications from the Bible. He has also published many articles in Christian books and magazines. Rev. Ip’s wife is a community nurse within Hospice service by providing emotional care and support to patients through home visitations. The Ip’s have two grown up sons, living independently in other states. Rev. Ip’s hobbies are reading, traveling, as well as sharing his experiences and life lessons with friends. In the past, Rev. Ip has a lot of experience learning different languages. In order to study the Old Testament thoroughly, he learned languages such as German, French, Hebrew, Modern Hebrew, Greek, Aramaic, Akkadian, Ugaritic and Arabic. Through his study of different languages, he has accumulated a vast knowledge of traditions and expressions of cultures past and present all over the world. This has correspondingly borne fruit in his exegesis and application of Scripture. “Understanding the Book of Exodus,” “Understanding the Book of Job.” In A Survey of the Bible with Sound (Study Guide), I: 9-16, II: 25-31 (with cassette). Edited by Wai-Wing Chan. Hong Kong: Christian Communications Limited, 1991. “Prophetic Books, Messiah and the Contemporary Christian.” In The Glorious Christ and the Contemporary Christian, pp.31-53. Edited by Lawrence Chan et al. Concord, CA: Christian Witness Theological Seminary, 2003. New Bible Commentary (21st Century Chinese Edition) (contributing translator). Edited by Wai-Wing Chan and Job Hu. Hong Kong: Christian Communications Ltd., 1999. Beyond Futility: Message of Hope from the Book of Ecclesiastes (contributing translator). Chinese ed., Monterey Park, CA: Living Spring Publications, 1982. Pastor Kenny Lai was originally from Taiwan. He has a hi-tech professional background with an U.S. patent in addition. After more than ten years working in the industry, he received God’s call to full-time ministry and entered seminary to equip himself. Eventually he received a Ph.D. from Dallas Theological Seminary, majoring in the New Testament. While attending seminary, he was also involved in pastoral ministry in a local church. Convinced that theological education is vital to the spread of the kingdom of God, since 2006 he is engaged in teaching in seminaries to train workers after God’s heart to serve Him in this generation. Besides teaching in seminary, Rev. 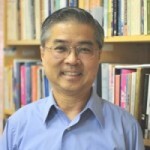 Lai also preaches in different churches, participates in lay training, and publishes articles. In his leisure, Rev. Lai enjoys hiking to explore the beauty of God’s creation. He also loves gardening; though he does not have “green fingers,” his backyard occasionally produces seasonal fruits for picking. Mrs. Lai is also a preacher with a Master’s degree in Biblical Studies. She has been invited many times to teach on effective personal evangelism, for she has a special passion for, and experience in, personal evangelism. First Peter: Undergoing Suffering, Entering Glory. Hong Kong: Ming Dao Press, 2010 (in Chinese). The Holy Spirit in 1 Peter: A Study of Petrine Pneumatology in Light of the Isaianic New Exodus, 2009 (unpublished Ph.D. Dissertation) (in English). “Contemplating the Divine and Human Nature of Christ from His Incarnation,” CWTS Newsletter, January, 2014. “Called Out from the Silicon Valley,” Proclaim, Mar-Apr., Petaluma: Chinese Christian Mission, 2013. “Did Jesus Have a ‘Wife’?‟ CWTS Newsletter, October 2012. “Re-igniting Hope,” CWTS Newsletter, April 2012. 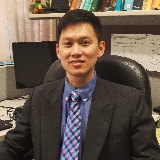 Before entering full-time ministry, Dr. Luke Tsai worked for fifteen years as an engineer in the Silicon Valley, designing microprocessors at Advanced Micro Devices. He was born in Taiwan and immigrated to the U.S. when he was thirteen. He completed his B.S. degree in Electrical Engineering and Computer Science at U.C. Berkeley and M.S. in Electrical Engineering at Stanford University. Even though Dr. Tsai enjoyed a successful engineering career, his true passion has always been to serve the Lord and teach God’s word. He devoted his time outside of work to the church, serving in various capacities, particularly in youth group and Sunday school. After receiving a call to full-time ministry in 2006, he promptly moved to Dallas, TX and began receiving his training at Dallas Theological Seminary, where he earned both the Master of Theology degree and Doctor of Philosophy. In 2013, Dr. Tsai and his wife, Jackie, returned to the Bay Area to serve at their home church, the Home of Christ Church in Menlo Park. 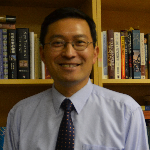 Dr. Tsai joined CWTS in 2015 as a faculty in New Testament. 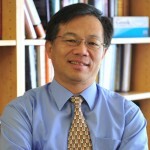 Dr. Tsai and his wife Jackie have two daughters, Dorothy and Susannah. In his spare time, he enjoys playing the violin, table tennis, and basketball. Brothers in Dispute: A Socio-Economic and Legal Analysis of the Litigants in the Church of Corinth . (PhD Dissertation). Born and raised in a Chinese family in Malaysia, Peter Tie accepted Christ as his personal Savior and Lord at the age of 13. Eight years later, he responded to the call for full-time Christian ministry. He first came the USA and received a B.S. in Psychology (University of Central Arkansas). After a year in the graduate program of Counselling Psychology, he began his theological training in M.Div. (Christian Thought) at New Orleans Baptist Theological Seminary. At the completion of the first theological degree, the Lord opened another door for him to study Systematic Theology at Dallas Theological Seminary. Upon graduation, he went to pastor the churches in his home country. Peter came back to the USA to work on his Ph.D. in Systematic Theology (Major) and Historical Theological (Minor) at Southwestern Baptist Theological Seminary. Six years later, he once again went to his home country for pastoral ministry. While in the pastoral ministry, Peter responded to the call to teach theology at Melbourne School of Theology (MST), Australia. For four and a half years, he focused on teaching, preaching, and mentoring, as well as supervising students’ church internship in Melbourne. He and his family have returned to the USA to teach theology at Christian Witness Theological Seminary. Peter has served in pastoral, teaching, and preaching ministries among the English-speaking and Chinese-speaking congregations in the USA, Malaysia, and Australia. He is married to Ruth and has three children (Anastasia, Timothy and Annabelle). Systematic Theology, Christian doctrines, Church history. Ph.D., Southwestern Baptist Theological Seminary (Systematic Theology), 2010. S.T.M., Dallas Theological Seminary (Systematic Theology), 2003. M. Div., New Orleans Baptist Theological Seminary (Christian Thought), 2001. B.S., University of Central Arkansas (Psychology), 1997. Ecclesiology of James Leo Garrett, Jr. Eugene, OR: Wipf & Stock, 2012. “創造神，主基督，保惠師：約翰福音中的父、子、靈之教義、關係與意義” (Creator, Christ, and Comforter: The Trinitarian Relationship of the Father, Son, and Spirit in the Gospel of John). In 我信三位一體的上帝 (I Believe in the Trinity). 倪國瑞譯. Melbourne, AUS: MST Press, 2014, 36-57. “We Believe, Therefore We Live: A Christopraxis.” In Christ, Life and Theology. Theology and Spiritual Formation 17. Melbourne, AUS: MST Press, 2012, 10-19. (Online: http://issuu.com/mstchinese/docs/mstcj_17). Son of Man Sayings ) and religious studies (her thesis being Jewish-Christian Discussions over the Mosaic Law in Justin Martyr’s Dialogue with Trypho) respectively. She then returned to Hong Kong and served in the China Graduate School of Theology for 17 years. There she held various positions, including teaching in extension courses, serving as assistant lecturer, later lecturer, Chief Editor and Director of the Department of Publication. In 1995, she resigned from CGST and went to Aberdeen University in Scotland for further studies, focusing on an evaluation of the feminist theologian Elisabeth Schüssler Fiorenza who reconstructed the origins of Christianity and the role of women then. Upon earning her doctorate, Dr. Ng immigrated to the States. From 2000 to 2003, she held a teaching position at Wheaton College as Visiting Assistant Professor mainly teaching on the New Testament. Since 2003, Dr. Ng has joined CWTS and served in various capacities. Besides teaching, writing and editing, she regularly plays the piano in church services. From time to time, she also composes poems. The New Bible Dictionary–Chinese Edition. Vol. 1 (A-J), Vol. 2 (K-Z). Hong Kong: Tien Dao Publishing House & China Graduate School of Theology, 1996. Jesus and Modern Man. Edited by Esther Yue L. Ng and Gaddi C. Y. Hui. Hong Kong: China Graduate School of Theology, 1993. Right or Wrong–Ethical Issues and Christians Today. Expanded ed., Hong Kong: China Graduate School of Theology, 1990. In God’s Presence–Corporate Worship: Why and How. Hong Kong: Tien Dao Publishing House and China Graduate School of Theology, 1979. Dr. Manchiu Cheung (hereafter Dr. Lau) grew up in Hong Kong. She accepted Christ in high school and served actively in church. After graduation from college, she became a staff member of the Fellowship of Evangelical Students (Hong Kong) to promote evangelism among high school students. In 1972 she married Dr. Wilkin Cheung whom she got to know in college. After their wedding, Wilkin taught at Singapore University and Dr. Lau studied at Discipleship Training Centre (Singapore) where she earned a diploma in theology. Later Wilkin accepted an offer from the Chinese University of Hong Kong where he eventually became an Associate Professor in Biology. After their return to Hong Kong, Dr. Lau taught high school for more than ten years and participated actively in student evangelism, leading Bible studies and fellowships. She later became the principal of a high school. Sensing the call from God, .she resigned from the school and became a full time seminarian, eventually earning her Master in Divinity. She then became a teacher at the Bible Seminary of Hong Kong. Later she pursued a doctorate degree, majoring in Adult Christian Education. 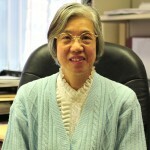 In 1999, Dr. Lau and her husband Wilkin immigrated to California. 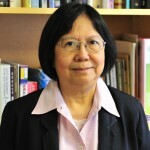 Since then, Dr. Lau has served as a professor in CWTS, teaching courses mainly in Christian Education but also in Evangelism, Bible Study, Spiritual Growth, etc. Dr. Lau was formerly the Registrar and Director of Field Education in CWTS. Currently she serves as the Director of Human Resources, oversees the Finance Department, and is also involved in Advancement in CWTS. 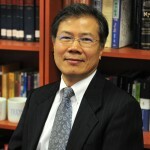 For a number of years, Dr. Lau has been attending Tri-Valley Chinese Bible Church and teaches Adult Sunday School for the Chinese congregation. For his part, Wilkin was a long time teacher of adults in the English Sunday School. Besides being dedicated to teaching and research in college settings, he was also committed to the integration of science and the Christian faith, and he fully supported Dr. Lau’s ministry. Unfortunately he passed away in March 2013 as a result of cancer. Since then, while missing her husband, Dr. Lau continues to serve the Lord. 「世俗化對基督教教育的挑戰」 “The Challenges of Secularism to Christian Education,” CWTS Newsletter, April 2011. 「如何提升教牧的教導素質?」”How to Elevate the Teaching Quality of Pastors?”《教牧分享 Pastoral Sharing》,世界華福中心 Chinese Co-ordination Centre of World Evangelism, Sep. 2008. How We can Learn from Him,” 《榮耀的基督與當代信徒 The Glorious Christ and the Contemporary Christian》,Christian Witness Theological Seminary, 2003. 「書評 Book Review:《老當益壯 Aging with Vitality: A Path for Growth》」,《傳Proclaim》,中國信徒佈道會 Chinese Christian Mission,Sep. 2002. 「教會中的成人教學法 “The Methods of Teaching Adults in Churches”」, CWTS Newsletter, April 2002. Dr. Jacob Cheung was born in Xingning (Guangdong, China), grew up in Hong Kong, and studied in Hong Kong, United Kingdom and USA. He was converted at Hong Kong Bethel Church where he also received God’s call to full-time ministry. By God’s grace, he can speak three Chinese dialects: Cantonese, Mandarin and Hakka. His hobbies include singing as well as studying Chinese history and literature in addition to the Bible, often enraptured in the world of the ancients. Rev. Tsang married in 1980 and has three children as a result. Currently, his family members all live overseas outside China. Besides teaching in CWTS, he also preaches in different churches, publishes papers in journal, is involved in leadership training, and assists editorial work for the Old Testament section of the Tien Dao Bible Commentary Series. May God’s grace richly abound in China! Numbers, Tien Dao Bible Commentary. Hong Kong: Tien Dao Publishing House, 2006. Judges, Tien Dao Bible Commentary. Hong Kong: Tien Dao Publishing House, 1998. “Reflections on the Chinese New Year,” Evangel Literature, Issue 229, Jan-Feb 2014. “Seeking Stewards,” CWTS Newsletter, April, 2012.
and issue 217, Jan-Feb 2012. “The Door of Blessings,” Evangel Literature, Issue 206, Mar-Apr 2010. “Commitments of the Christian Worker,” CWTS Newsletter, January 2010.